One of the area of my consulting practice that is most enjoyable is advising clients on merger and acquisition issues. While very few of my clients actually do a deal, more and more are considering inorganic growth as a means to address both the economies of scale that come from combining back office solutions as well as what are perceived as historic opportunities to perform “roll-ups” in a variety of vertical niches. Understand that my clientele is exclusively privately held businesses whose annual revenues are under $50 million. In fact, in the $1 – $50 million range, they are usually on the lower end when we start working together. When I have the opportunity to become involved in a strategy conversation about the potential benefits of a transaction, then, it is not with multinational, public companies who are measuring cross border opportunities as a defensive mechanism to preserve market share against more aggressive competition. These facts notwithstanding, I enjoy reading research performed on the larger company front because many of the issues studied trickle down into my part of the market. This past fall, the global law firm Eversheds published a study, The M&A Blueprint: Inception to Integration, wherein the authors claim that deal teams need a more holistic approach and stronger connections between the planning, completion and post-deal integration phases. Amen! The universe of participants in the study included 400+ large businesses who had pursued cross-border deals in the period 2009-2012. Many respondents felt that the inability to envision the end from the beginning (think through integration and beyond during due diligence) was the single greatest cause of unrealized potential. The current economic climate has made the business of doing deals much tougher, with the research highlighting an acute awareness of risk in the process…Our research shows that the overriding factor contributing to the success of a cross-border deal, is the presence of a core team providing the ‘connective tissue’ to link all the phases together, taking the deal from the inception stage through to post-completion integration. Businesses need to start joining the dots between the different stages of the deal cycle to move the focus from just simply ‘doing the deal’ to thinking about life for the business beyond the deal. From the start – 38% of deals where the in-house team were brought in too late suffered problems during integration. Early warning – 59% of all respondents said they had spotted potentially damaging issues early enough to advise that a deal should not go ahead. 2. Planning and due diligence. The crucial stage – 43% said the most common cause of the failure to realise value in transactions was down to avoidable errors in the due diligence and planning phase. Joined up thinking – 70% felt that linking due diligence and integration planning together would help to improve the deal process. What matters most – The reasons General Counsel would advise not to proceed with a deal were illegality/regulatory (45%), e.g. bribery, competition and antitrust, and commercial concerns (45%), e.g. 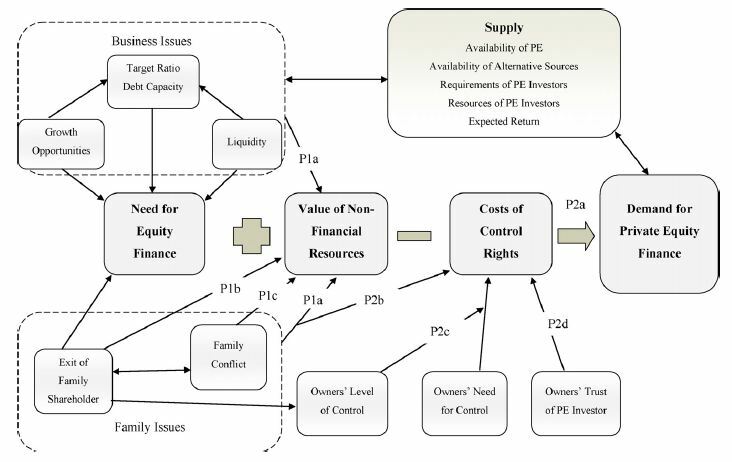 price and valuation, litigation risk, integration costs. A false saving? – 83% did not use external lawyers to a large degree during integration, although they were acknowledged to add value. The main reason for this was cost. Avoid mismatches – 26% felt that the failure to realise value in a recent cross-border M&A deal was due to a misalignment between legal dealmakers and the day to day business team. Recognizing that Eversheds is acutely focused on the implications for the legal field, they found that involvement of external transaction advisory experts earlier in the deal process yielded better results. Applying this thought to and the process outlined above to my own experience, I strongly recommend that cultural due diligence be brought front and center early on. Internal teams are not usually objective enough to evaluate their own culture, let alone that of another entity. When we delve into matters of governance, decision making, core values in action, executive team personalities and styles, we are able to more accurately predict what may happen in integration and beyond. If red flags go up, back away! In reading about the issues facing small businesses in the United States since the recession began in late 2007, I have heard about many sectors that have fallen behind historical performance levels. One that I hadn’t considered very much until this week is what is called the “business-for-sale” sector, which has seen a huge drop-off in comparison to all metrics known prior to the recession. While many have spoken about the large amount of private equity not in circulation, many of the reasons it is being withheld translate to other types of business buyers. Whether you are representing an equity firm or your own personal business interests, it is likely that you have been trying to figure out when the economy may turn around. In classic business theory, it would be ideal to buy at a deflated price right before the economy picked up so that your investment could piggyback onto the general trend of successful recovery. Such market timing could make your investment produce very high–perhaps unprecedented–returns. Since the economy appears to have stabilized, though not surged forward in a demonstrable way, what are these people who would otherwise be buying small businesses thinking? Observers of the business-for-sale sector wonder when they will see a positive change. They are anxious to see more acquisition activity. Whether you listen to political pundits, talk show hosts, or economists, all would concur (at least publicly) that small business is key to the overall recovery. Yet, if small businesses are not churning ownership, it is hard for them to obtain the necessary working capital to fund growth and operations. BizBuySell.com conducted a survey of 260 business brokers from around the country to attempt to determine whether market conditions were improving. A whopping 70 percent indicated that financing for business acquisitions has not improved since 2011. These findings and percentages are consistent with survey results from last year, showing a trend of stagnation. With commercial loans harder to come by (according to the survey), many buyers can’t get the financing they need to do deals. Business brokers say that banks have made the loan process even more difficult in 2012, decreasing the chances thereby that buyers will begin investing in businesses for sale. Mike Handelsman, group general manager for BizBuySell.com and BizQuest.com, reports that borrowing is particularly difficult for new or young entrepreneurs. Since banks and similar entities have taken the position that a track record of success is one of the top determinants of future success, newcomers to the small business arena–either startups or acquirers–are handcuffed. Seller financing is not necessarily the right strategy for all business succession scenarios. But under the right circumstances, a seller’s willingness to finance a portion of the sale can dramatically increase the number of potential buyers and create more advantageous sales terms (e.g. a higher sale price). Sellers also need to plan for the sale, and make their businesses as attractive as possible to buyers. Install an outside board of directors, with positions filled by non-competing entrepreneurs rather than the typical CPA, attorney, banker, and family friend. Stop paying executive perks out of business accounts–clear separation will help show your commitment to professional management. 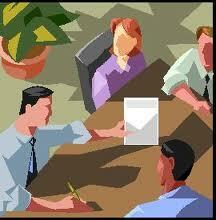 Document the tasks and procedures performed by the executive team. When it has been documented, the business is worth far more money because it is no longer dependent on the personalities. Have a CPA review your financial statements–audit if you can afford it–especially if you have never had it done before. Work with a transactions attorney to advise on deal structure and terms so that you can think through tax implications that may cause you to accept certain types of offers. Chin up! If you follow these best practices, you will be one of the first ones to sell your business, regardless of whether many others sell theirs at the same time. Do Your Cultural Diligence in M&A! Of course the merger was a success. Neither company could have lost that much money on its own. Competitive markets create an environment wherein companies strive for revenue growth. When organic (internal) growth is hard to come by, inorganic growth becomes a target. Inorganic is a category that includes merger and acquisition (M&A) activity as a primary strategy. While business exigencies demonstrate the “need” for change, often the hard facts found in classic due diligence processes have far less to do with ultimate success than the cultural fit of a transaction between parties. 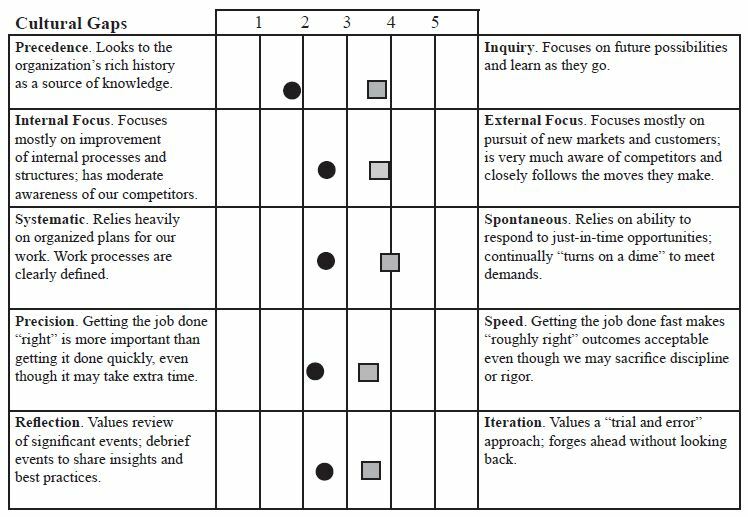 Consequently, organizations that understand their core values are much more likely to reach the kind of growth and success that nearly all businesses seek [Gallangher 2003]. Successful M&A has been known to grow markets, build on complementary strengths, and eliminate inefficiency. But what ultimately matters in an acquisition is what happens in the hearts and minds of the people who remain with the new organization and what culture these formerly distinct entities choose to build while moving forward [Gallangher]. The Mercer Consulting Group, in studying M&A activity, finds that, among unsuccessful ones that many of the failures are caused by not conducting the same kind of “due diligence” on the culture, structure, and processes of an acquisition target as they do on the financial balance sheet [Gallangher]. 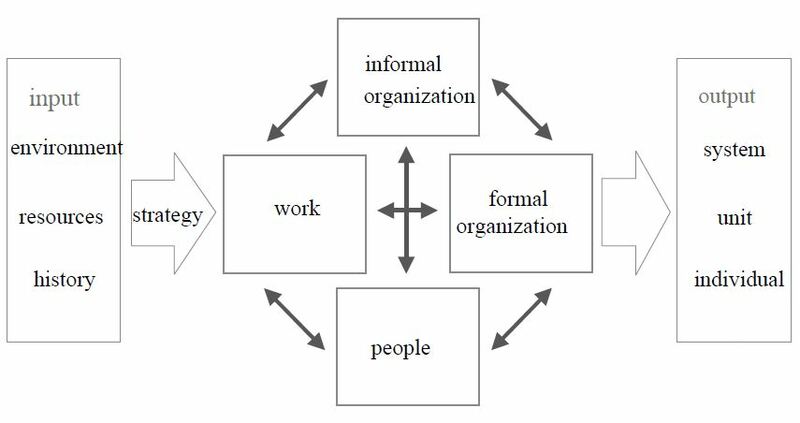 – Organizational culture [Bouchard, Pellet 2002]. J. Robert Carleton, management consultant and senior partner of the Vector Group, says, “Unfortunately, little or no time is generally spent analyzing the nature, demeanor, and beliefs of the people who will be involved in carrying out the business plan”. He believes that standard due diligence does not address some of the key questions that must be asked to accurately assess organizational readiness for a major change, such as a merger or acquisition. Even when some of the “right” questions are asked, Carleton argues, they are often limited to brief interviews with key executives, who likely have differing views from the rest of the employee group. The people in the trenches, the ones doing much of the actual work are not even involved. He finds it interesting that “in financial and legal due diligence no such ‘act of faith’ is acceptable” in terms of the investigative procedure [Bouchard, Pellet]. [Bouchard, Pellet; see also Carleton, Lineberry 2004]. After looking through these issues and discussing each company’s culture, the merger team put together a chart like the one below to begin developing tactics to plan for a smooth post-closing integration. As you look at this chart, think about key M&A transactions in your industry or local community. Of the ones that did not pan out as planned, do you think they would have stood a better chance had they systematically worked through these type issues during due diligence? Cultural due diligence is vital to successful M&A processes. If earnest consideration were given to culture as it is to financial and other factors, inorganic growth and increased market share would be a realized outcome far more often! Increasing the level of formal governance can assist in reducing risk, identifying issues that might emerge upon a sale and generally enhancing the credibility with which the business presents itself to potential buyers. Perhaps even more powerfully, governance is a means by which, both in fact and in perception, a business can present as less dependent on the involvement of its founders than it would without governance. This can add very significantly to value. Many private business owners think that the absence of governance procedures makes them more flexible, more adaptable and more opportunistic. That may be so, but the benefits of that should be weighed against the benefits of formal governance when planning a sale. Corporate buyers and private equity see many poorly organised privately‑owned businesses. They will take the opportunity to highlight the possible risks to them in undertaking an acquisition of a poorly organized or more risky business. Some investment in governance can dispel most of these apprehensions, and allow private business owners to defend the level of risk in the business and so achieve higher value for a seller. Nonetheless, formal governance should be introduced carefully, to ensure the owner’s ability to drive and control the business is not unduly impeded. In summary, shareholder value is enhanced in privately owned businesses through better corporate governance. Opinions of value are enhanced by checks and balances, independent processes, and a decreased dependence on the founder(s). Make the necessary adjustments to your business. You will make better decisions, increase the market value of the business, and create an environment wherein others can grow in their roles and responsibilities.